5 Summer Corn Side Dishes that are perfect for your summer gatherings. 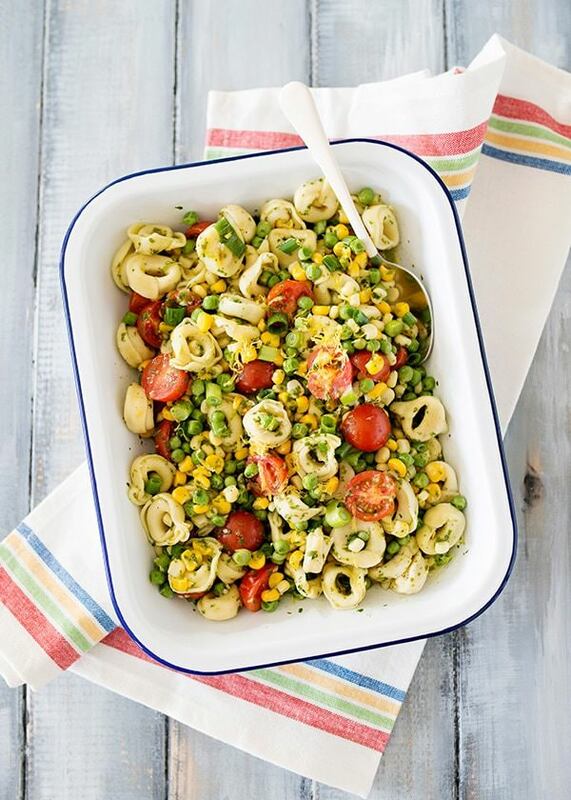 Lemony Herb Summer Tortellini Salad – This tortellini salad is so delicious. It is bright and lemony and a great make ahead side dish to bring to a bbq or picnic. I like to serve it with grilled chicken. The dressing for this salad is one of my absolute favorites. Basil and mint are so fresh. Use whatever you like from the farmers market. Grilled Corn Salad with Fresh Herbs – There are very few things that I love more than fresh and sweet summer corn. This salad has all of my favorite things, crunchy vegetables and lots of fresh herbs. It’s great alongside burgers and hot dogs or even a nice grilled fish. It also gets better the longer it sits. Slow Cooker Corn on the Cob – I love making corn on the cob in the slow cooker. I get it ready, turn it on, and head to the beach. When we get home we have tender corn ready to go. Serve with lots of butter, salt, and pepper. Pasta with Sweet Corn Gremolata – If I could eat this pasta dish every single day I would. It is super quick to make, 15 minutes from start to finish. Can be served hot, room temperature, or cold. It is fresh, bright, and highlights the bounty of the summer farm stand. How do you like to eat your summer corn? yum! Can’t wait to try them. By the way the grilled corn salad link is incorrect. FYI – I clicked the link for the Grilled Corn Salad with Fresh Herbs and went to your Blue Cheese Vadalia Onion recipe. I did do a search and found the corn salad but thought you should be aware. Can’t wait to try this! The link for the slow cooker corn on the cob misdirects. Could you provide the correct link, please? Thank you!